Mikhailov's photographs, often presented in these wry even humorous situations, only add to the absurdity of this tragic life. The onlooker experiences feelings of empathy and disgust as they guiltily absorb the content of these engaging yet horrifying pictures, peering into an unknown world of madness, destitution, longing and death in an un-redemptive portrait of outcast humanity. 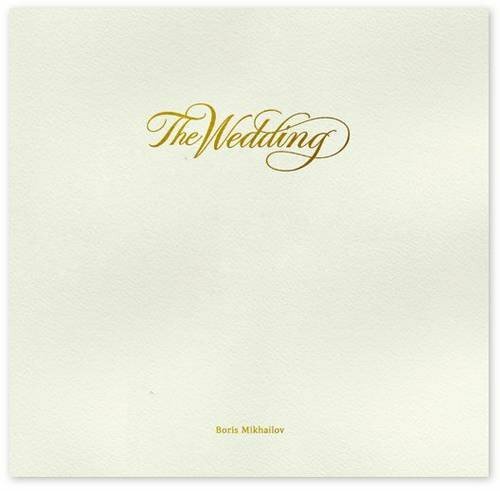 “The Wedding” is bound in imitation of a traditional wedding album, with faux-leather and gold-debossed lettering designed by calligrapher John Stevens. It is further finished off with a text by Adrian Searle.